Turning is one of the fundamental skills that every hockey player needs to learn. Sure you might be able to turn, but how well can you do it? There is a big difference in a slow gradual and off balance turn VS a quick, tight, sharp turn. In this video and article we are giving you the information you need to start performing better turns. When you are coming out of the turn, use a few crossovers to accelerate out and keep your speed. Matt Duchene is performing a nice tight turn, he has a good base and a staggered stance. 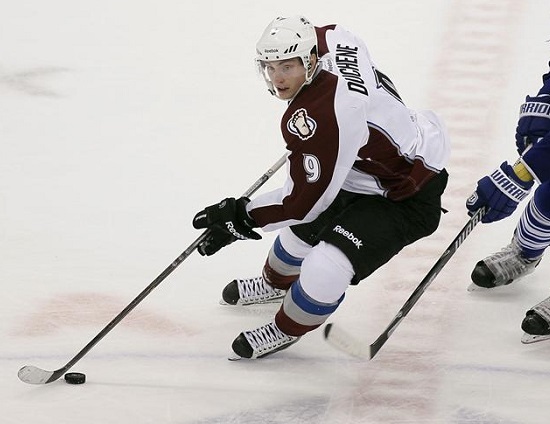 This staggered stance helps Duchene get a better turn, but also protect the puck from the defender! 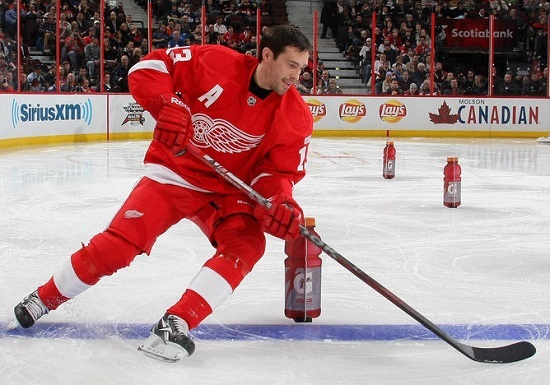 Here is Pavel Datsyuk in the NHL Skills Competition. Notice how the hands are away from the body, the stick leads Datsyuk through the turn, and he is nice and low with both blades on the ice. As Datsyuk completes this turn he can execute crossovers from this position and keep his speed. Here is a tight turn with the puck on the forehand. Notice the nice wide base for balance and strength (hard to knock off the puck). 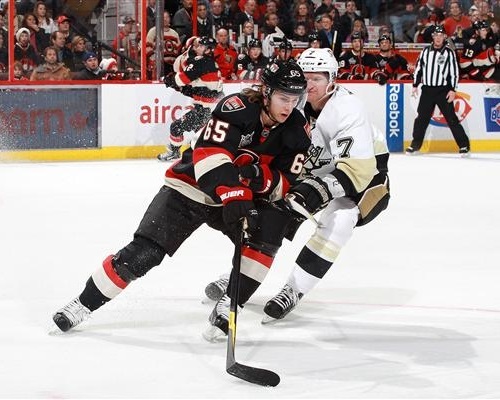 Karlsson has his hands away from his body so that he can cup the puck even more and perform a tighter turn. With his feet like this he can keep on pushing with the outside leg and drive wide while pushing on the opponent. Hi Jeremy – I’ve been skating and playing hockey for about 2 1/2 yes now, started at 41 yrs old. The biggest thing I have an issue with it turning to my forehand side with the pick and coming out of it doing crossovers. The best example of it I can think of is how Patrick Kane does a turn to the forehand side and almost looks like he’s running up the ice with the puck. I know he’s doing crossovers and moving at an angle, and that’s my problem. Since my right foot is my weak foot, I have a hard time getting the drive off of the outside edge on the cross under. It’s almost like my ankle wants to kind of wobble. Do you think this is something that will stop with more and more practice? I tried this to turn this way and I even practiced off-ice, but like 60% of the time I fall.I don’t know what I’m doing wrong.Can you tell me some way that I would not fall?Also I read all of your post since last year, and I am a decent hockey player.Can you tell me a way to improve my passing?And a way to improve on this edge problem.Maybe I dont have sharpend skates?Help?